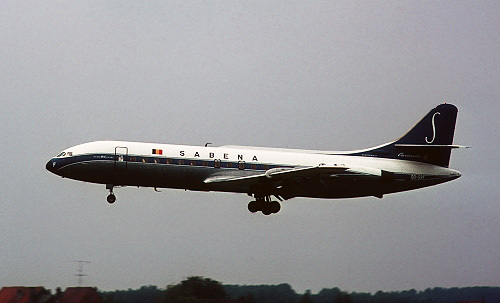 Description: Sabena sixth Caravelle was delivered on April 28 1961. It remained operational for the carrier till April 1977 and is here captured in the first (of two) liveries. Description: second livery adopted in 1973. Description: slightly different style titles with added small "belgian world airlines" titles. 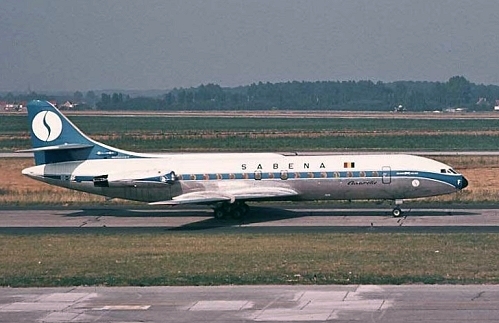 Description: after her life with Sabena it was sold in 1978 to EAS, here in basis Sabena colors still with Belgian registration.